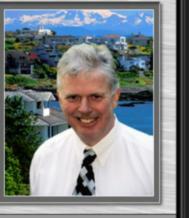 Fred, will buy my lottery ticket today, as having a waterfront condo in Victoria would be a great dream! Good info - while I don't currently have any buyers interested in relocating to Canada, you're definitely the person I would think of when I need help! Hi Joan Cox I bet you are going be moving to Victoria soon. Hi Wayne and Jean Marie Zuhl Talk to your Clients, Blog or add a message to in your newsletter. Ask the Question. Very often I find American buyers tell me they never thought to talk to their Realtor about Buying Real Estate in Victoria or elsewhere in BC or Canada. Good reminder Fred. We should always be thinking about our clients on the other end of the transaction.